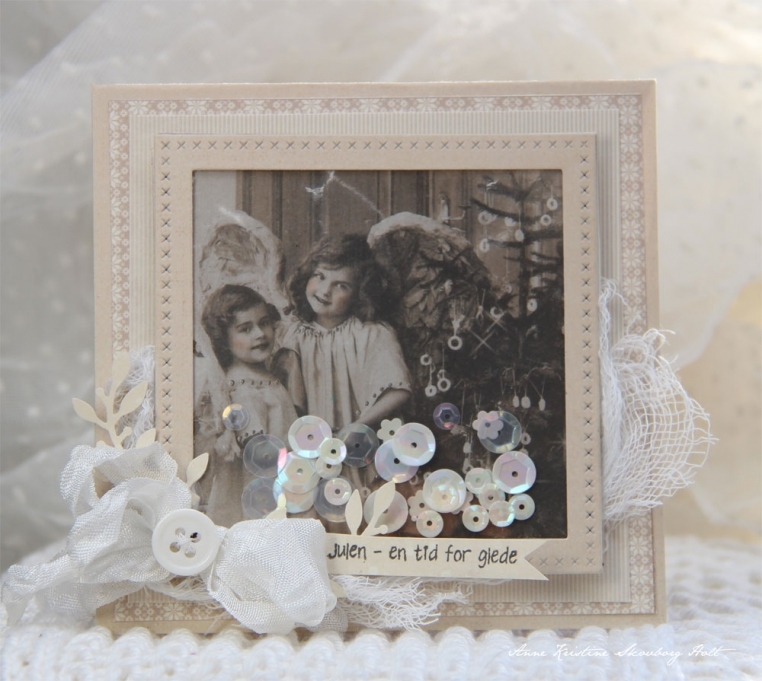 Today I have made a Christmas card using one of the beautiful images from the collection From Grandma’s Attic. I love these sweet images! This is the sweetest card ever….it is so elegant! Love the color, the design, just everything about it.